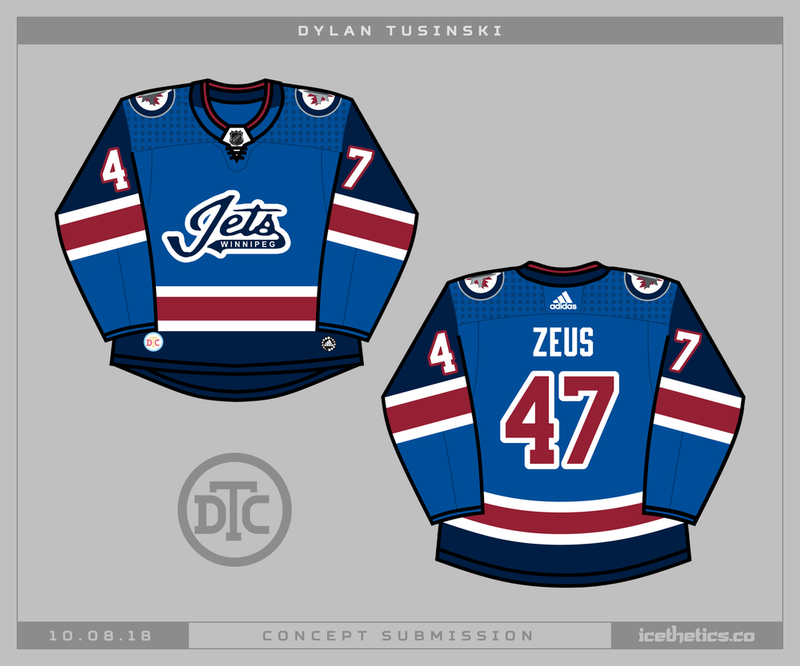 There was no shortage of negative commentary on the Winnipeg Jets’ new third jersey — so Dylan Tusinski took a stab at fixing it with an infusion of red. The Islanders’ new third jersey leaked late last week but Dylan Tusinski is still holding out hope for something in orange. He submitted this before the leak happened. It’s not bad for an orange Isles sweater. Dylan Tusinski presents his 2019 Winter Classic logo and uniforms for the Bruins and Blackhawks. This would probably be a great-looking game but I worry about the lack of contrast between the brown and tan jerseys from the cheap seats. Remember that classic Kings third jersey from 1996? Dylan Tusinski is bringing back a full-on version that's sure to freak you out at least a little bit. Dylan Tusinski brings us a cool new take on the Colorado Avalanche today.